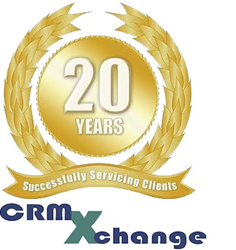 CRMXchange, celebrating its 20th year as the leader in online educational events for customer care/contact center professionals, announces free August webcasts. CRMXchange, celebrating its 20th year as the leader in online educational events for customer care/contact center professionals, announces a free August multi-sponsor Roundtable, a technology demo showcase and webcasts designed to help bring managers and executives up-to-speed on the latest information. Hear how visual IVR delivers a personalized and digital experience to voice-callers, enabling a better customer experience with improved self-service. Watch how to transform Voice IVR to a digital experience and how to easily transition from the digital channel to the agent, with full content. Much of today's contact center analysis is somewhat of a guess. Analytic tools, such as Erlang spreadsheets, are cumbersome, slow, inflexible, and in many cases, not as accurate as we’d like. Much of the analyses are centered on three basic forms: What-if Analysis, Sensitivity Analysis, and Variance Analysis. Hear how to quickly develop insightful, accurate analysis. Customers want a resolution to service and purchase inquiries delivered in a seamless fashion across an expanding number of channels. Understanding FCR is crucial to the success of your contact center as it drives customer satisfaction, profitability and overall workplace efficiency. It comes to no surprise then that call centers should have metrics in place to properly monitor FCR – given its immense value. First call resolution is starting to become more about customer interaction. Shifting the focus to create meaningful interactions with customers creates deeper relationships, opportunities to optimize an organizations business and positions companies to achieve greater first call resolution rates. Join this roundtable for a discussion on FCR.